Denise found herself at a young age, gravitating towards the beauty industry. She eventually decided to turn this love into a career. She graduated from Evergreen Beauty College in 2011 and has been making people beautiful ever since. Having had previous experience working in Aveda salons, she became a believer in the products, culture and commitment to environmental leadership. She is excited about bringing her skills to Chroma and continuing her education. Denise loves caring for people, creating beautiful hair, and connecting with the community. She is inspired every day by the people she meets and the stories they share while in the salon. Building that connection with her clients and providing excellent customer service is what she strives for in her work. 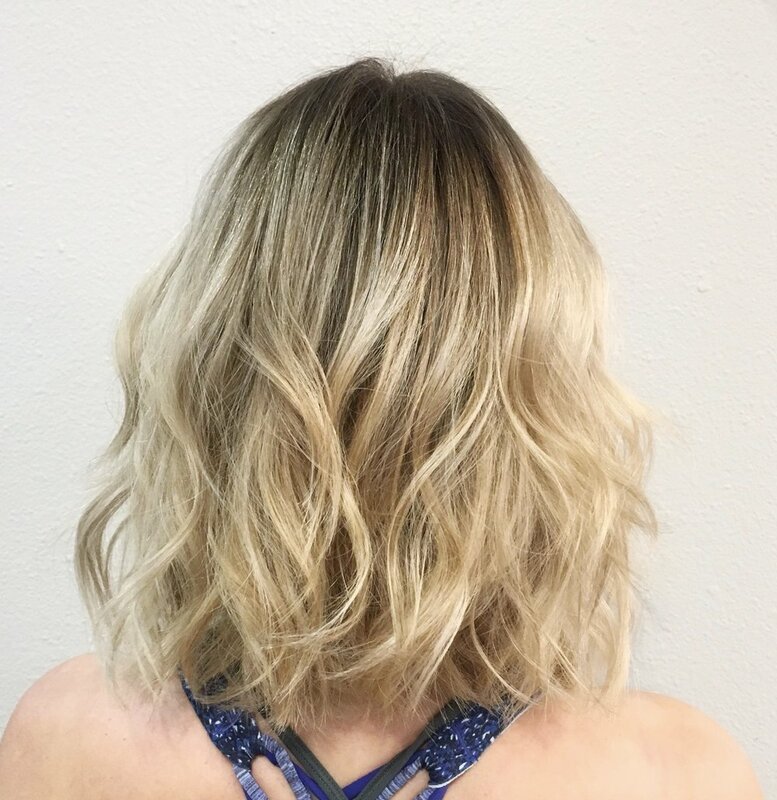 Her specialties lie in both cutting and coloring, but her biggest passion comes from balayages and blonding techniques. She loves blending colors and making your hair look natural while making sure it grows out nicely. She also loves going all out with a major look change, that makes you feel fresh from the moment you leave until the next time you are in her chair. In her free time, Denise loves spending time with her son, family and friends. Her happy place is in nature, embracing its beauty. She loves the challenge of hiking up a summit and the reward of conquering the peak. She also enjoys cooking, trying out new restaurants, and always has music playing. Favorite Aveda Product: Air Control because it’s light, but buildable.